I’ve made this little video to show just how easy it is to edit a loop in Loopy HD. 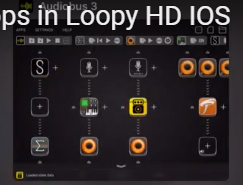 I’ve heard people requesting audio editing functionality in Loopy, Samplr and other apps. The truth is that it is not much more convoluted than doing it using a plug in. I’ve grown to like and use modularity of IOS music making. The tools are there but like with all things modular there’s a learning curve or rather customisation to be overcome. 4 send the audio file back to the original app. 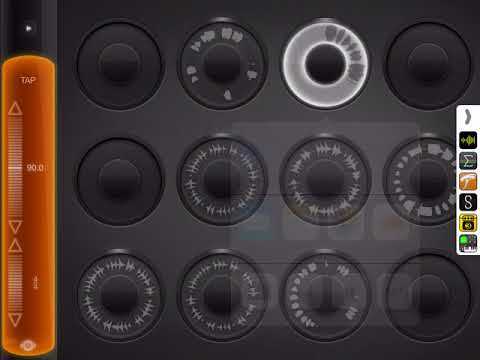 ...like and use the modularity of IOS music making. Good tutorial and mindset! I think it's a mental model thing, right? Once you set aside the monolithic software mental model (i.e., Ableton Live) and think modularly, you then have the opportunity to take advantage of the wide variety of tools that are available for small chunks of cash. is completely unfamiliar to me. I use AB all the time but pretty much only ever one in, one effect, one out, this kind of simple complexity makes me realize I am pretty much a one-armed octopus in the IOS ocean. Must do better etc. I can’t get a loopy loop to open in AudioShare when I try to share. Am I looking in the wrong place or do I need to share to files and then open from files with AudioShare? You should be able to open it directly via open in. Can't try it now but will take a look in a few minutes. Thanks Johnny for making me sound clever, I don’t often get a chance. It’s quite simple actually (says he scratching his beard of a wise man). 3 Loopy loops go into Turnado for some variety. Thank you Mister @supadom, I will try harder, I promise. In the meantime, I can confirm that your special magazine has been sent in today's post. Can you have a 4 bar loop and say...a 16 bar loop in the same loopy session ? You can have pretty much any combination of bar lengths, up to I don’t even know how many bars. You have to set the master loop length to the length you want before you start recording the new loop. All new loops use the master loop length, so keep changing it if you want a bunch of different loop lengths. Does Loopy by chance have an option to let loops run free and not sync? Im thinking of using it like soundscaper but with more channels and external fx. Yes, you can turn off synchronize tracks. Then it seems the length is free, and the start points don’t have to line up either. Cool thanks @CracklePot will see what I can set up.